Do The Rich Think Different? A question many of us ask is, how rich people think, or how can I think and grow rich? The truth is, that all of us can become as wealthy as we decide to be. None of us are excluded from wealth. If you desire to receive money, you have the right to do so. The truth about getting rich is having the continual thought that there is no limit to how much you can earn for yourself. The average person has essentially been brainwashed to believe rich people are lucky or dishonest, however, the majority of the wealthiest in the world not only had to earn their wealth, but maintain it and even add to it. It is in fact true, that the wealthy do think differently. As backward as it may sound, getting rich often had less to do with the money than the mentality of the person. Self-made millionaire Steve Siebold, who has interviewed 1,200 of the world’s wealthiest people during the past three decades in his book “How Rich People Think”, agrees. But how can you think like a rich person? If you are looking for ways to achieve success as the wealthiest of the world does, it may be easier than you think. Here are just a few ways in which rich people think differently. Rich People Think Selfishness is a virtue– while average people think selfishness is a vice. Rich People Have Action Mentality– while average people have a lottery mentality. 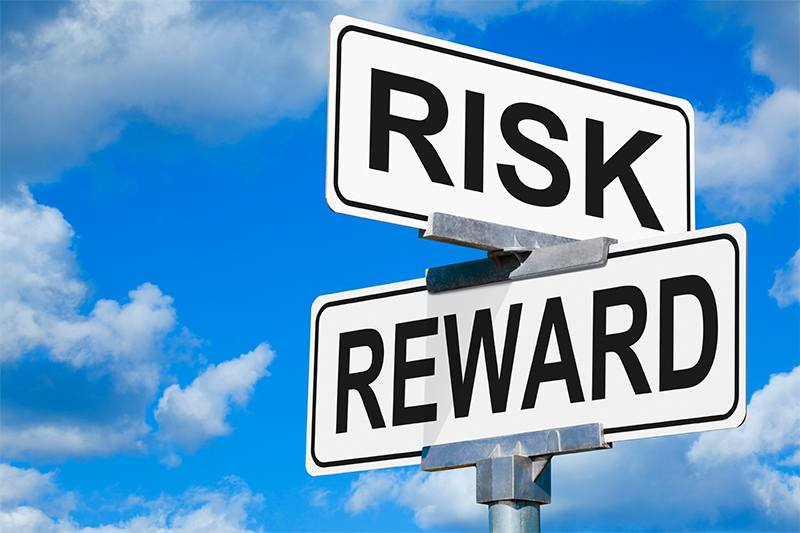 Rich People Know When to Take Risks– while average people play it safe with money. Rich People Know It’s Possible to Have it All– while the average person believes you must choose between money and a great family. 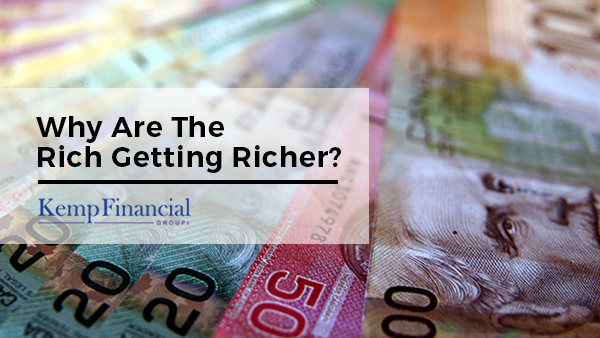 Now, the underlying question still remains after recognizing how to think rich is… How do I become rich? In order to obtain and maintain your wealth you must take your mentality and begin to act upon it. If you don’t it is safe to say you are leaving money on the table. Having a “get rich” mentality certainly sets the foundation to achieving the wealth and success you desire; but it is the overall habits that distinguish the wealthy from the non wealthy. Here are daily success habits that will change your life (and bank account) forever. Set Goals Often– Successful individuals are very goal driven. Always think long-term. Make Time for Building Relationships– Successful people take time to strengthen their bonds and go out of their way to see their relationships grow. Do More Than What is Required– Wealthy individuals go above and beyond to achieve success for themselves and their clients. Never Let Fear Get The Upper Hand – Successful people never let fear define them or limit their capabilities. 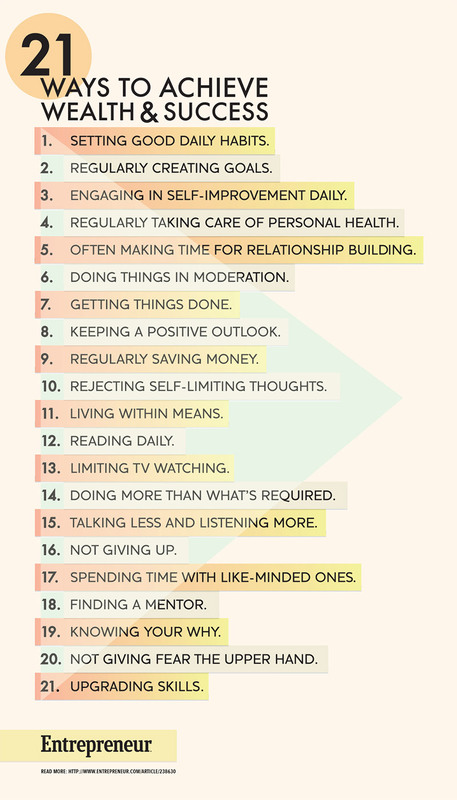 The infographic below illustrates all 21 daily success habits. At Kemp Financial Group we provide sound financial advice and expert financial services in Niagara Falls, that will help grow and protect your wealth. With over 100+ years of combined experience within the family, we understand that Canada’s economy is dependant on the health and wealth of our clients and communities. As we begin your financial planning, we strive to build long lasting relationships for the betterment of you and your family.